For the second time today, I've added a new feature to Fiddler only to discover it was already there. David_Risney: Just put up CSP Fiddler extension to help figure out minimum required CSP rules for web pages. Just put up CSP Fiddler extension https://github.com/david-risney/CSP-Fiddler-Extension … to help figure out minimum required CSP rules for web pages. The Fiddler Book: "Debugging with Fiddler: The official reference from the developer of Fiddler"
THE Fiddler Book straight from the source, EricLaw - the developer of Fiddler! Fiddler is a wonderful tool with never ending extensibility. With this book I shall master it! As it turns out the WPAD Server Fiddler Extension I made a while back actually has a non-malicious purpose. Apparently its useful for debugging HTTP on the WP7 phone (or so I'm told). Anyway I took some requests and I've fixed a few minor bugs (start button not updating correctly), changed the dialog to be a Fiddler tab so you can use it non-modally, and the WPAD server is now always off when Fiddler starts. I used FiddlerCore in GeolocMock to edit HTTPS responses and ran into two stumbling blocks that I'll document here. The first is that I didn't check if the Fiddler root cert existed or was installed, which of course is necessary to edit HTTPS traffic. The following is my code where I check for the certs. I've made GeolocMock. 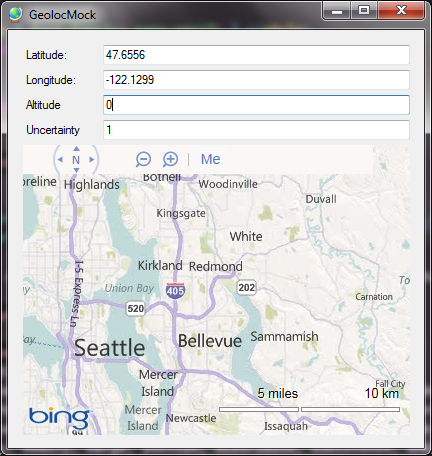 If your PC has no geolocation devices, IE9 uses a webservice to determine your location. GeolocMock uses FiddlerCore to intercept the response from the webservice and allows the user to replace the location in the response with another. This was a fun weekend project in order to play with FiddlerCore, the W3C Geoloc APIs in IE9, hosting the IE9 WebOC in a .NET app, and the Bing Maps APIs. I've just got a new media center PC connected directly to my television with lots of HD space and so I'm ripping a bunch of my DVDs to the PC so I don't have to fuss with the physical media. I'm ripping with DVD Rip, viewing the results in Windows 7's Windows Media Center after turning on the WMC DVD Library, and using a powershell script I wrote to copy over cover art and metadata. Run Windows Media Center with the DVD in the drive and view the disc's metadata info. Rip each DVD to its own subdirectory of a common directory. Run the script and pass the path to the common directory containing the DVD rips as the first parameter. Running WMC and viewing the DVD's metadata forces WMC to copy the metadata off the Internet and cache it locally. After playing with Fiddler and reading this blog post on WMC metadata I made the following script that copies metadata and cover art from the WMC cache to the corresponding DVD rip directory.